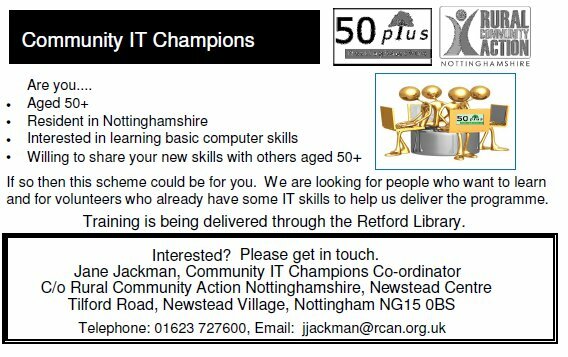 RCAN (Rural Community Action Nottinghamshire) host a number of free IT events called IT Champions. RCAN’s IT Champions remit document can be viewed here. In Retford these events take place at the Library (see attached poster). Discussions are currently in progress to seek ways of integrating RCANs short courses with the year-long programmes run by our own Clarborough & Welham IT Group. Watch this space! IT Community Champions now has its own website.